Pepsi products on display at a Costco store in Queens, N.Y.
For advertisers, it's never easy to sit out the Super Bowl. Sure, the spots are pricey  between $2.5 million and $3 million for this year's game, which will be played on Feb. 7. But the 100 millionstrong audience, which includes a slew of people tuning in solely to dissect the commercials, almost guarantees instant brand buzz. No one knows this better than Pepsi, which has produced some memorable Super Bowl spots: a sweltering Cindy Crawford sipping on a Pepsi while a couple of adolescent boys admire the can, Britney Spears gyrating for the camera, those stupid dancing bears. In fact, Pepsi has advertised during the Super Bowl for 23 consecutive years. So why is the company skipping this year's big game, leaving the airwaves to its salivating rival, Coke, which will air two different spots, including one starring the incredibly popular characters from The Simpsons? To Pepsi, and to companies around the world, the days when mass-market media is the sole vehicle to reach an audience are officially over. Instead of pouring millions of dollars into a Super Bowl commercial, Pepsi has started a social-media campaign to promote its "Pepsi Refresh" initiative. Pepsi plans to give away $20 million in grant money to fund projects in six categories: health, arts and culture, food and shelter, the planet, neighborhoods and education. People can go to the Pepsi website refresheverything.com  which can also be accessed through Facebook and Twitter  to both submit ideas and vote on others they find appealing. Among those on the site now: "Help free healthcare clinic expand services to uninsured in rural TN" and "Build a fitness center for all students in Hays, Kansas community." Every month, the company will offer up to 32 grants to worthy projects. "This is such a fundamental change from anything we've done in the past," says Lauren Hobart, chief marketing officer for Pepsi-Cola North America Beverages. "It's a big shift. We explored different launch plans, and the Super Bowl just wasn't the right venue, because we're really trying to spark a full-year movement from the ground up. The plan is to have much more two-way dialogue with our customers." These days, viral marketing seems like a smart strategy. "This is exactly where Pepsi needs to be," says Sophie Ann Terrisse, founder and CEO of STC Associates, a brand-consulting firm. "These days, brands need to become a movement instead of just relying on good reviews for their Super Bowl commercials." But why not hit customers from both the top down and the bottom up? Pepsi executives are quick to point out that there will be traditional television advertising for Pepsi Refresh, just not during the Super Bowl. If you're going to launch a charitable initiative that can build goodwill toward your brand, however, isn't 100 million captive viewers an attractive audience? If you're going to give away $20 million, what's another $3 million to build more excitement for your project and, hopefully, sales of your soda? The problem, say marketing experts, is mixing the medium with the message. "The Super Bowl is just too extravagant for something like this," says Lee Clow, chief creative officer and global director of media arts at TBWA Worldwide, the agency that created Pepsi's campaign. "It's seems like a contradiction to say you're going to set aside $20 million in marketing dollars for a worthy cause, then turn around and spend $12 million on two 60-second spots for the Super Bowl. Couldn't that money be put to better use?" Plus, says Clow, the Super Bowl audience comes with certain expectations. People want the commercials to entertain them. They want to see others having a good time, because they're having a good time themselves at a Super Bowl party. They want to talk about the ads at the watercooler. "If you show up with something serious like [Pepsi Refresh], you're going to get ignored," says Clow, who also masterminded Apple's legendary "1984" Super Bowl ad. "If you're going to be there, you have to do something over the top." Some serious spots, like the anti-abortion ad from Focus on the Family, in which the mother of Florida quarterback Tim Tebow explains how she ignored doctor's orders to terminate her pregnancy with her star son, could fit because they stir controversy. There's nothing controversial about building rural health clinics. Pepsi's sales will determine whether the company is blowing a golden opportunity by skipping this year's Super Bowl and whether goodwill actually increases the bottom line. Are people going to suddenly start drinking sugary fizz because Pepsi is being philanthropic? It's not like corporate responsibility is suddenly in vogue: show me a Fortune 500 company, and I'll show you why that company insists it's the most generous organization in the world. Still, it's refreshing to see brands take a risk for what seems like a good cause. But don't leave Super Bowl advertising for dead. CBS, which will broadcast the game, just sold out its Super Bowl ad inventory, and stalwarts like Coke and Anheuser-Busch are still running spots. 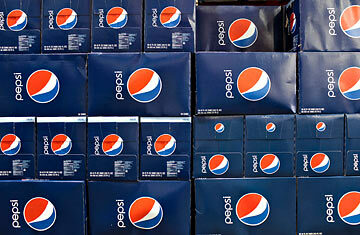 "This is our big effort for 2010 and beyond," says Hobart, the Pepsi marketing executive. "We think it's a flagship for our company. But I would never say we wouldn't entertain Super Bowl advertising again." If Pepsi realizes it fumbled by skipping this year's Super Bowl, there is no doubt that it will rush right back into the game. See pictures of Super Bowl entertainment through the years.